“Mortal Kombat” is a live action film based upon a popular video game franchise. The storyline for the video game is actually intact upon transition to the big screen: A group of warriors are picked to enter a fighting tournament where the fate of the world hangs in the balance. The film gets things going by introducing the different combatants as well as their unique stories. Raiden, who is the god of lightning, recruits Liu Kang, Johnny Cage, and Sonya to represent Earth in the tournament. The characters are transported to a barren wasteland of a dimension where the tournament takes place. Of course, the evil Shang Tsung has also recruited a number of mystical warriors with special powers to do battle with Raiden’s human entries, including Scorpion, Sub-Zero, and Kano. One of Shang Tsung’s fiercest warriors is Goro, a four armed monster that crushes his way through the competition. 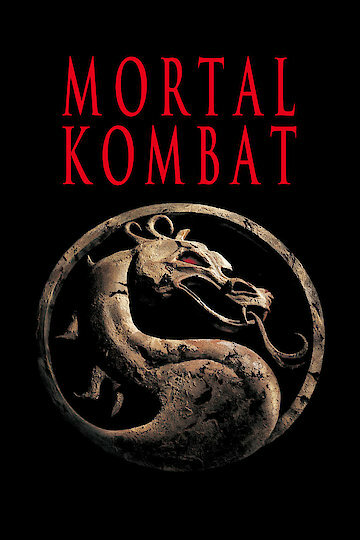 Since each of Earth’s fighters also have their own private agendas, Sonya is chasing down the man who killed her partner, Johnny Cage is fighting to prove he has actual skill, and Liu Kang wants to kill Shang Tsung for murdering his brother, the fighters get a bit distracted as they progress through the tournament. Fortunately, Raiden is able to get his fighters on the right track before the end of the tournament, and the humans must turn the tide against the evil Shang Tsung. “Mortal Kombat” is a fast paced romp of martial arts fighting balanced with some comedic relief and drama. The fighting sequences are computer enhanced, and since the movie is based on a video game, it adds to the action on the screen. Over-the-top as the fighting sequences may be, the film tries to keep down on the blood and gore, which goes against much of what the game stood for in the first place. The film is more about self-realization, supporting your friends, and doing the right thing as much as it is about a martial arts competition. The characters must put aside their personal vendettas and focus on the larger goal, which is to protect Earth from being turned in a wasteland like the one they are competing in. The characters learn how important they are to each other after spending just a little bit of time together, and it takes a little bit of time before they figure out the best way to get out of their situation is to work together. Mortal Kombat is currently available to watch and stream, buy on demand at Amazon, Vudu, Google Play, iTunes, YouTube VOD online.